How does one approach content strategy when your business caters to so many personas and verticals? It would seem hard to manage content creation and distribution in this situation. Are all the personas and market verticals equally valuable to your business — and your business to them? Most businesses, if they’re honest with themselves, will recognize that while they might be capable of serving all sorts of industries and customers, there’s a smaller number that account for the lion’s share of revenue and opportunity. If that’s the case, pick three or four key verticals or personas and gear your content strategy to them. You might also create another, catch-all content category suitable for “other” members of your audience. But by applying some formula of proportionality you’ll focus your strategy and content creation where it will create the most leverage. Nowhere is it written that all personas must be given equal treatment. Just ask my mom — a mother of six! Consider sorting personas into two groups: Primary and Secondary. Mount a concerted content marketing effort for each Primary: a blog, a regular flow of call-to-engagement assets (e.g., webinars, ebooks), etc. For Secondaries, maybe you provide one or two significant content experiences each year. An industry benchmark study. Or an education/networking event (virtual or live). Instead of assuming you need to CREATE content for all your personas/verticals, you might choose instead to CURATE content for at least some of them. Curation might take the form of a weekly or monthly e-mail wrap-up of links to all the great content you’ve been able to find published recently within each particular persona group or industry vertical. If your organization gets recognized for providing that sort of valuable service to a particular persona, you’re well down the road to establishing thought leadership and deeper engagement with that persona. Can we assume there are commonalities among all your personas? Whether they work in manufacturing or health care, do they share similar business and professional development issues and cocerns? If so, then focus your content strategy on issues and questions they all struggle with. For this LinkedIn questioner, who apparently works for a research company, persona commonalities might include finding the right research partner for each unique marketing project they must undertake. Understanding the different, evolving research methodologies available. 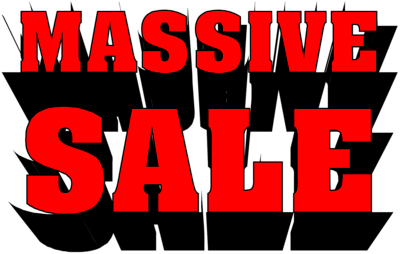 Communicating and “selling” the value of research up and across within their organizations. In short, one way to shrink the number of personas is to think about your audience not as working across myriad industries, but as concentrated within a shared profession. It could be that involving guest bloggers and other outside subject matter experts is at least part of the answer, especially for those verticals where your company’s value proposition isn’t quite as strong as it is might be in other, core areas of business (see the 80:20 rule above). Those are five strategies that came to mind for me. I wouldn’t be surprised if there are 5 more — maybe even 50 more — ways to think efficiently about how to manage content marketing in the face of proliferating personas. Got any you can recommend? Please share them in a comment. I read quite a few business and marketing books. Some I blow through and scarcely find a few paragraphs, even a handful of sentences, that strike me as particularly noteworthy. Others, I find myself madly underlining, making stars and exclamation points in the margins, and using those few empty pages in the back to scribble notes and to-do lists. Inbound Marketing: HubSpot founders Shah and Halligan serve up plenty of takeaways. 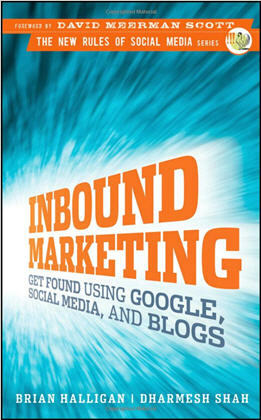 I just finished reading Inbound Marketing, by HubSpot founders Dharmesh Shah and Brian Halligan. As a long-time content marketing strategist, reading THE book on inbound marketing is probably a little like a political scientist reading Thomas Paine, or a humorist reading Mark Twain. In other words, the reader in each case is predisposed to find strong relevance and resonance with the author. Do You Dare Try Content Marketing In Reverse? 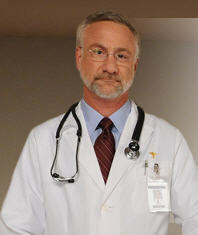 He plays a doctor on TV. Imagine you’re chief marketing officer for a global pharmaceutical company. To reach potential customers in the United States, you decide to spend significant amounts of your budget on prime-time TV ads during the Major League Baseball playoffs. You call this brand advertising? Perhaps not. At least not in the traditional sense. But that’s OK. Because you could call it branded content. The scenario described above is not fictitious. It’s an actual ad from Japanese drug firm Takeda Pharmaceuticals. A campaign that chooses to be less about conventional branding and more about inviting engagement. Takeda uses a fairly traditional (and not inexpensive) marketing channel not to push a product brand name or to hype trial, but instead to focus primarily on consumer education. Specifically, their ad promises that by visiting www.goutinfo.com, consumers will find information on how to better understand, manage and consult with their doctors about gout, a painful condition caused by excessive amounts of uric acid. Sure enough, visitors to the microsite get just that. 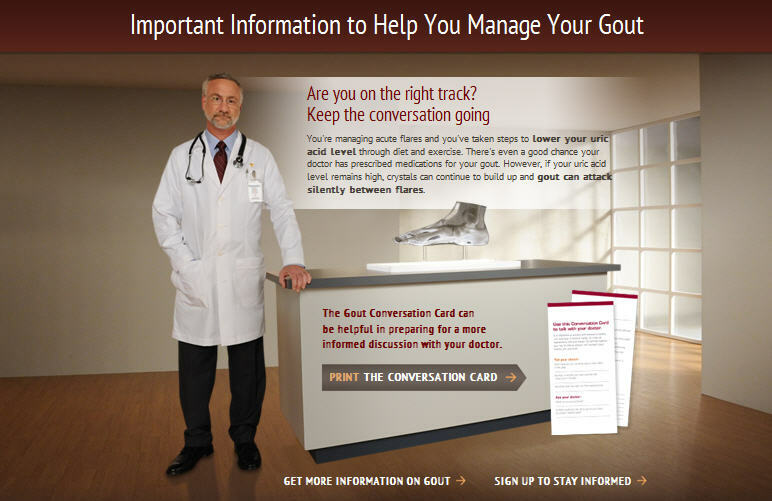 In addition to the TV ad itself, the site features a no-nonsense, easy-to-understand collection of educational content, starting with the site’s main header: “Important Information to Help You Manage Your Gout.” Site copy speaks in straightforward language about gout, excess uric acid, and the potential harmful effects of both. It offers tips on managing gout, both its occasional flare-ups and chronic challenges. Management strategies highlighted include not only drug treatments, but lifestyle and diet tips, as well. Takeda's goutinfo.com microsite, which includes 30-second TV ad plus plenty of content. Consumers can print a “conversation card” to help make their next meeting with a doctor more productive. At a few points in the microsite — where you can “Sign up to stay informed,” and “learn more” about treatments for long-term gout management — visitors are invited to www.goutsmart.com, where a drug named Uloric is first introduced into the experience. I don’t pretend to fully understand the dark arts of pharmaceutical advertising (e.g.,”See our add in Golf Digest”?). I also don’t have metrics to know whether Takeda’s gout campaign is generating big results, in terms of Uloric awareness and prescriptions. But as an interested observer, I applaud the example Takeda is setting here. The focus on informing vs. pure promotion. Especially because on the night I noticed Takeda’s ad, I saw another which prominently showcased a drug company’s name and logo, and repeated (no, belabored) their product name no fewer than 10 times. Sometimes people who believe passionately in content marketing all but reject other, more traditional tactics — direct mail, telemarketing, print and TV advertising. Others — me among them — believe that often it’s the integration of traditional tactics and content strategy that makes for the most successful marketing. As Takeda demonstrates, just because you’re running a TV ad — even in prime time — it’s not mandatory that you focus solely on your brand or product. You can advertise a value-adding experience. Promote a content asset. Blend traditional and content marketing in smart and effective ways. In other words, you can turn content marketing inside out. Or, more accurately, dare to stray from traditional marketing by approaching content marketing in reverse. You can dare to try marketing content. Don’t get me wrong. I’m not saying Takeda is the first drug company to focus on consumer education with its marketing. But see if you agree the TV spot and microsite are remarkably soft-sell and content-centric. Meanwhile, what about you and your company? Would you dare run such a content-focused ad in prime time? Would your leadership approve? Maybe you think what Takeda is doing is a mistake, a missed opportunity. Comments and discussion, as always, encouraged and appreciated. Factor in both works and words, and no executive in U.S. history lived as notable and quotable a career as Apple CEO Steve Jobs, who died this week at age 56. As well-earned tributes flow, along with “best of” articles on Jobs’ contributions to computing, connectivity, media and management, what might content marketers infer from 10 of Jobs’ most quoted observations on business, innovation and life? Even the most prolific and accomplished content marketers will make mistakes now and then. Typos and bad line breaks creep into blog posts. Links are occasionally broken. That e-book we thought would light up the landing page proves woefully short on wattage. We sweat the details and fret the mistakes — or at least we should. But ideally it’s the commitment to envision, then publish, that next added-value content asset, and then the next one, that overrides the occasional glitch in the minds of our communities. If content marketing were a race, tortoises would have the edge. Focus and consistency over time. Being multi-channel and integrated vs. going for the one blockbuster downloadable asset. More about regular blogging than writing a best seller. Continuously measuring, rethinking, improving. Listening is valuable and important. It should be part of content strategy. But the big wins and wows tend to come when marketers say: “We know this category. We understand these people, their businesses, their dreams and pain points. There’s an opportunity to change the game here. To create something they’ll find uniquely valuable.” That asset, that idea, doesn’t necessarily appear fully formed in customer surveys or sentiment analyses. More often is shows up while you’re singing in the shower, or riding the bus home from work. Except in rare cases, there won’t be the money, staff or time to plan and execute exactly what we’d draw up on the white board. So you look at your budget, and all those tactics you’ve been investing in for years, and ask yourself: Can we start by shifting 20, 25 even 30 percent of our budget from what has been to what could be? If we always do what we’ve always done will we always get what we’ve always gotten? And then you identify a core team of passionistas — internal stakeholders or external partners — and start talking strategy, personas, channels and KPIs. And don’t waste time repurposing someone else’s content. Guest bloggers are great. Curating to help your audience stay abreast and make sense of relevant news and information is smart. But too many would-be content marketers assume the quick and cheap path is to slap their logo on a collection of previously published work, or rely on a content farm churning out articles for a nameless, faceless reader. Sometimes it’s the tweet you dare not to send, or the “viral” video you choose not to post, that sustains the integrity of your content strategy. Or that skimpy blog post you elect to hold for further development, even though it’s Friday and the planning calendar says it’s time to keep cadence. If you’ve thought hard about your brand’s personality and value proposition, and have a clear vision for the audience personas that matter most to your business, way more often than not you’ll make the right call. When it’s all said and done, do you want to have bested the direct mail control by half a percentage point? Found a clever way to put one over on those search-engine swifties over at Google? Or do you want to have attracted and engaged a business-critical audience — prospects, customers, employees, dealers, you choose — in ways no brand has dared try, much less accomplished? Imagine if every B-to-B marketer went to work looking to put a ding in their industry, never mind the universe. Can’t do it, you say? Easy for Steve Jobs, selling those cool consumer technologies. My product’s a commodity. I’ve got no say in R&D. There’s not enough budget. And besides, customers only care about price. Tell it to Rick Short. He’s making a ding over at Indium. His product? Something that operates deep and unappreciated inside all those devices Jobs and Apple are renowned for: Solder. Paul Gillin dares to declare that big ideas don’t have ROI, and he’s probably pretty much right. Sadly, most big content strategies don’t come gift wrapped in a spreadsheet of predictable lead volumes and revenue numbers. But what you know in your head, and your gut, tells you there’s this opportunity to do something special. And you know you can measure, course correct and evolve as you go. Planned smartly, executed well, it stands to reason ROI will come. 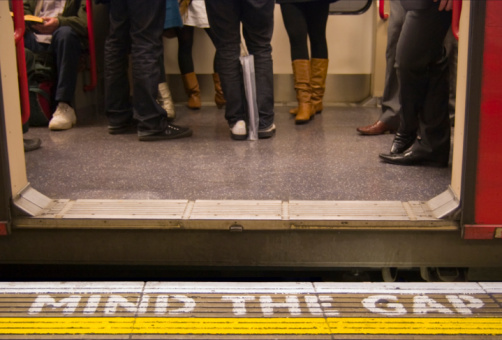 But to get there, you might have to challenge yourself, your boss, your team, your clients, to see things differently. Likewise, if you keep putting relevant, value-adding content out in the market. Via your online channels, within social media, through your sales force, in your advertising and direct marketing. Exposed to great content consistently, over time, customers and potential customers will open their minds, hearts, browsers and office doors. Invite them to do that, and their wallets will open, too. From an early Mac Plus owner, a movie buff and a content marketer, thanks, Steve Jobs, and the employees of Apple and Pixar, for your leadership, products and ideas. What about you? 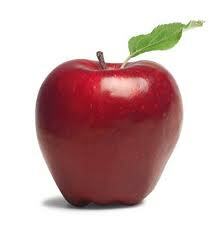 As a marketer, as a business person, what inspiration do you take from the works and words of Steve Jobs? Comments welcome. This past week more than 600 people converged on Cleveland, Ohio, for a special event. It wasn’t a Rock and Roll Hall of Fame induction, although there was plenty of energy and even a concert sort of vibe. It wasn’t a pro sports event, though the focus was definitely on winning and losing in a highly competitive arena. This was a business and networking event. The inaugural Content Marketing World conference and expo, produced by the Cleveland-based Content Marketing Institute (CMI). For two days, corporate and non-profit marketers, agency pros, publishers, consultants, bloggers and technology vendors enthusiastically discussed, demoed and debated the hows and whys of content as a marketing strategy. If you’re a marketer and you missed CMWorld, you missed many of the field’s leading authors and practitioners presenting their thinking, success stories and best practices. Real-time PR strategies. SEO techniques. Customer experience improvement tips. Plus case studies from companies such as Intel, Kelly Services, Sherwin-Williams and DuPont. To sample the information shared, you can swim through a swollen Twitter stream at #cmworld, or read a collection of 40-plus ensuing blog posts compiled by CMI’s Michele Linn here. Click on the links and you’ll likely pick up a content marketing best practice or two, or six. Meanwhile, if you’re a corporate marketing executive, there’s another type of takeaway to be gleaned from CMWorld. It’s an insight that — provided it resonates with you — has the potential to do more for your team, your brand and even your customers than all the CMWorld round tables and product demos combined. 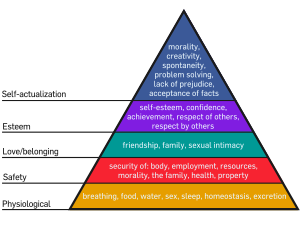 Content marketing: Maslow's hierarchy made manifest? This isn’t a takeaway you’d have seen bulleted in a CMWorld PowerPoint. It transcends individual speakers and sessions. And it doesn’t come bundled with any of the latest content management systems or social media listening tools. Content marketing is inherently energizing and fulfilling for the people who practice it. That’s right. Call me Pollyanna. Call me Norman Vincent Peale. But we’re talking Maslow’s hierarchy of needs here. Esteem and self-actualization as byproducts of a job well done. You could see it on faces and hear it in voices of not only the presenters, but the corporate marketers, too. You could almost feel it in the ballroom air. Best-selling author David Meerman Scott, exhorting marketers to cull gobbledygook from their communications and write in real, human and humane terms. Lee Odden, a bona fide SEO guru, reminding attendees to optimize online content for people first, web crawlers and search engine algorithms second. And Intel’s Pam Didner, speaking with passion and humor about opportunities she sees to improve a multinational content planning and development process that most would consider already highly advanced by industry standards. Whether their planning next month’s blog posts, promoting a webinar or producing a video, content marketers automatically put themselves in the position and mindset of seeking to be of value and service to customers and prospects. It’s implicit in the strategy. 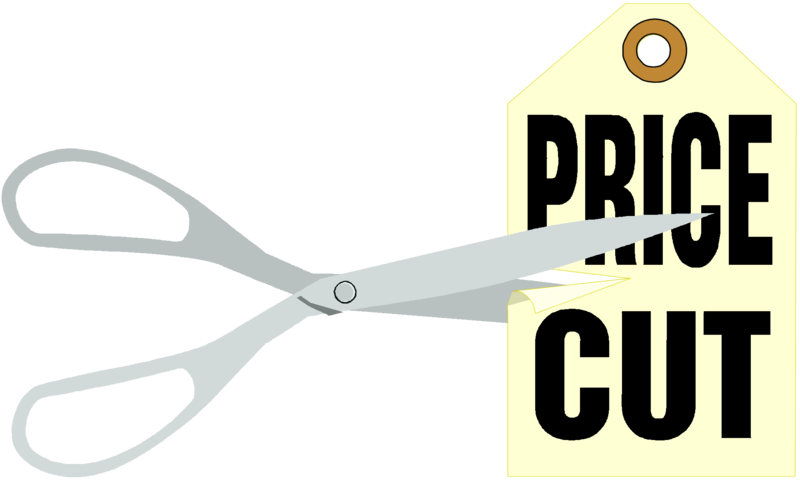 The onus is on marketing FOR customers and prospects vs. merely AT them. But we marketers focus so much time and effort planning and creating touch points to reach and influence our audiences, it’s easy to lose sight of the impact felt by those doing the touching. A specialist who’s only job is to squeeze another fraction of a percent ROI against the direct mail control package isn’t likely to feel the same sense of purpose and reward that can come with creating an educational ebook or an inspirational video — touch points designed to deliver meaning and value for customers. Likewise, most traditional campaigns are geared to capture attention and drive action. But unless it’s a public service announcement, being of service to the target audience is usually not a primary objective spelled out in the creative brief. This is not to say traditional marketing tactics are less worthy, less creatively stimulating or less intellectually satisfying when planned and executed well. Most practitioners agree content marketing is not a wholesale substitute for more traditional marketing methods. It’s a complement. An enhancement. And the more integrated the tactics and channels, typically, the better the result. But if you’re a CMO who’s yet to fully embrace content marketing, consider what it would mean to have your team arrive at the office each day consistently pumped to plan and execute compelling, useful, even entertaining content for key audiences. Then consider that them doing so is a proven path to achieving business and marketing priorities. Building traffic. Performing well in search. Sparking audience engagement. Generating and nurturing leads. Creating community within social media. Positioning your brand as a thought leader. To be clear, content marketing is no walk in the park. It’s demanding work. Don’t imagine for a minute your team and their consultants and agency partners won’t be working hard and brainstorming bullets to consistently develop great content and deliver real results. But the fact that so many practitioners seem to gain a higher sense of mission, pride and, dare I say, pleasure when undertaking content-driven strategies might the best argument for adopting one. Is that the karma that comes with content marketing? What say you, marketeers? Am I riding unicorns and smoking rainbows with this post? Or do you agree there’s something about attracting and engaging customers with value-adding content that can cause marketers to feel better (i.e., more proud, excited, strategic) about the work they do? Agree or disagree, I’d welcome your thoughts and feelings on the subject.